To say it has been a long time since I've written would be an understatement - and to say much has happened within that time would be even more so! First and foremost, we are expecting a little girl and are over the moon; Second, she will be here quite soon! 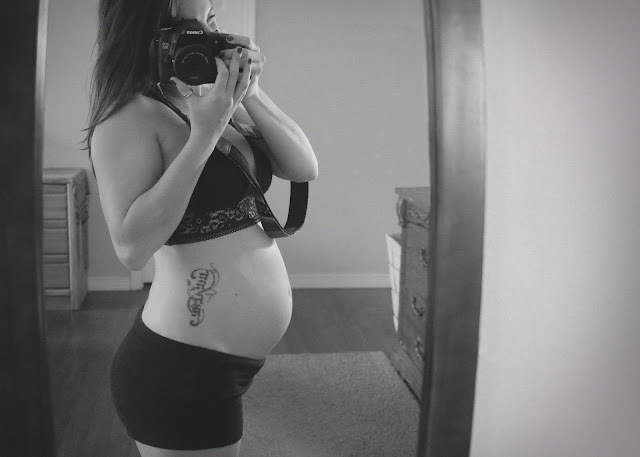 Honestly, I think in the beginning when we first found out I was thrilled but because of our history, wanted to wait to write until we were out of our first trimester. But even as we entered our second trimester I was having a difficult time connecting with the pregnancy and truly believing that what was happening was real. As the weeks rolled by and the excitement grew, so did the disbelief at the same rate - which is so hard to explain... Months went by and good reports came in one after another from our high risk doctors and my OB and truthfully my thoughts and emotions and things I truly wanted to share, just stacked up higher and higher until I suddenly was ready to talk but had no idea where on earth to start! 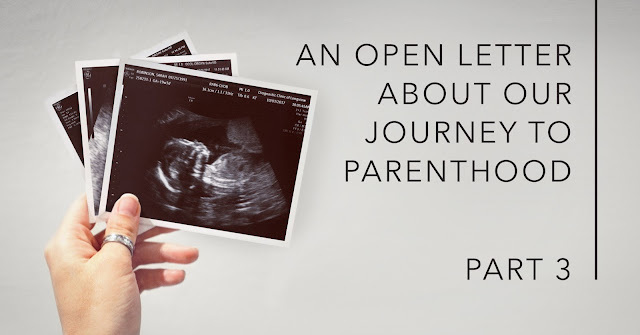 To anyone who's not familiar with our story, you can catch up on the first two parts of this series by reading 'An Open letter about our journey to parenthood' Part 1, and Part 2. Each one of these have been written a little over a year apart, and today we're diving into Part 3! 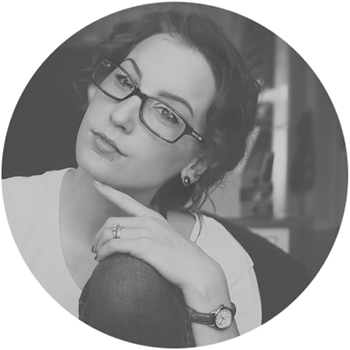 Recently my sister encouraged me to update my readers and let them know where we are at - though many of you are friends and family I do have a lot of readers that I have come to know online within the infertility and loss community, who otherwise wouldn't know where we were at with our journey. So here we go...to go into great detail about the all different aspects of my pregnancy and our last 7 months would create much too exhaustive of a letter to be bearable - So I'm going to start with the basics, end with some exciting news, and fill in the details over the coming weeks and link to them within this post later. Since my last Letter, Justin and I had begun the process of adopting and familiarizing ourselves with the entirely new world of bringing a child into our lives. 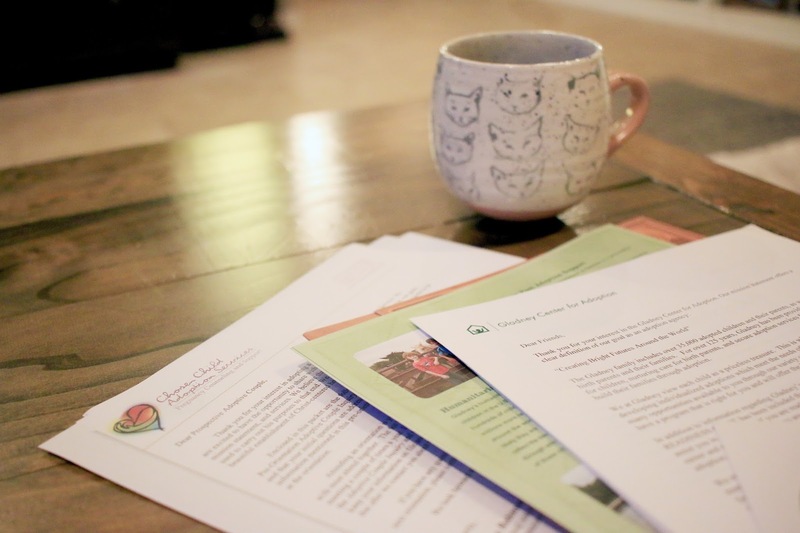 The Books on infertility and functional medicine gave way to others about adoption, caring for birth mothers, and preparing our hearts for the possibility of this new undertaking. We did our research, picked an agency, and began the oh so lovely stack of paperwork that comes along with it all. Though we had decided to stop the more aggressive fertility treatments we had previously undergone (IUIs, hormone supplementation, gonadotropin shots, etc. ), Part of our fertility plan was to continue trying through 2017 as we took care of the preliminary parts of qualifying for adoption before we were approved and began the process for placement. To be honest I was ready to jump in head first and begin home studies, qualifications, and placement interviews immediately...but Justin still felt like our 2018 timeline was what we should stay with - part of what I learned as we pursued adoption was that both people have to be 100%, no one can pull or push the other in any direction, and just as it took me time to get places in the past, this was a huge decision and trusting Justin's discernment and internal timeline on this was part of this step and waiting was what we were going to do. So in the meantime we decided to continue a few more of the conservative medicated rounds that we had done 7 other times previously (all unsuccessful). 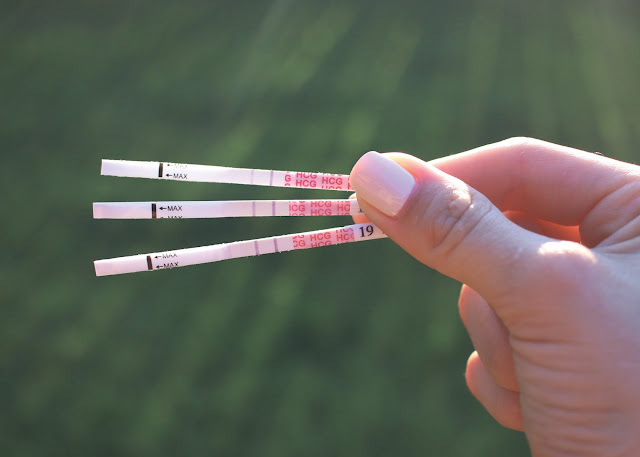 In April one of my follow up tests came back with a positive HCG Beta, which meant I was pregnant! Honestly it was such a whirlwind, and similar to the others was over quickly...The emotional whiplash from this loss was incredibly different from the others...In fact I dealt with a lot of guilt surrounding how I felt I should or shouldn't be feeling - but truthfully I was angry. I kept saying to God "We didn't need this..." it had been over 2 years since we'd been able to conceive and I couldn't understand why he would dangle this dream in front of my face again when I'd finally begun to find myself in a place of true contentment and peace about not carrying a child. Honestly, this is something I still struggle with to this day...Maybe God was trying to renew our hope in some way, maybe there was something he taught me during that time that I won't see until looking back years from now...maybe, maybe, maybe. I think it takes having been to such an extreme level of emotional exhaustion to possibly understand how, but truly I somehow disengaged and found myself not just struggling with, but unable to continue asking why and speculating on what God's plan could possibly be with our fourth loss...maybe this is where God wants us in the hours of our need, again..maybe. Then rolled around June and after not being able to conceive for more than 2 years I found myself pregnant again for the second time in 3 months. 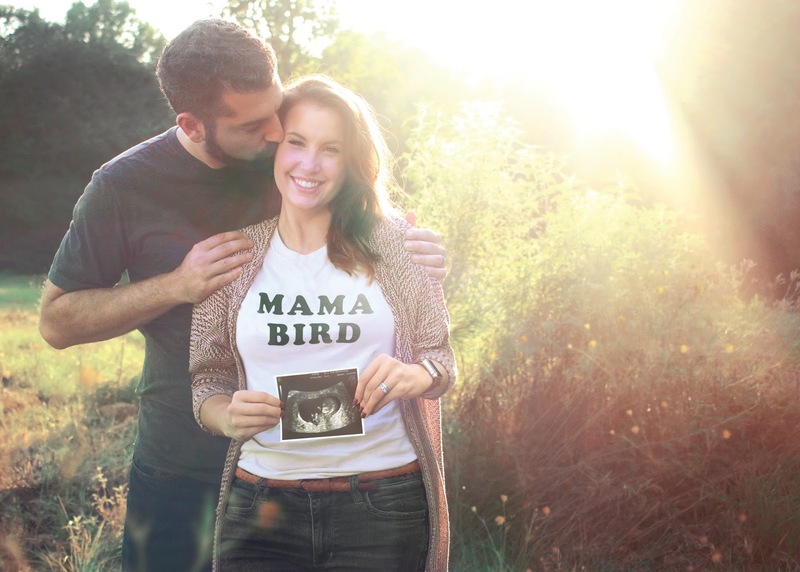 Something had changed, and even though I'd been on an assisted conception medication round and couldn't technically be totally surprised to be pregnant, I was indeed SHOCKED. I can't explain it, I can't even justify it (because for some reason I feel like I almost have to...) but I was completely ecstatic. Justin found out in his car because as he pulled into our neighborhood I couldn't wait any longer and I ran barefoot with the pregnancy test and met him four houses away in the middle of the street to tell him the news. Something was different, and even now I look back and wonder how that moment of bliss happened, it was truly a gift. After years so much harsh reality, God gave us a moment of naivete where we just got to be excited and not think about the years and sadness before, we were parked in the middle of the road kissing through an open car window, we were simply just happy. Though my heart grew incredibly guarded, and still is to some extent depending on the day, I forced myself to go through the motions and do what I knew I would want to do if I could imagine a pregnancy without fear. I documented, I shared with close friends, I talked to my tummy, I dreamed. At 6 weeks and 5 days we heard the heartbeat for the first time...it was a moment I'll never forget. I've had more appointments than I can count, more scans than I can remember, talked to more doctors and heard more weird wonky ultrasound noises of an empty uterus than I could even try to imitate. This was an actual first...With Justin leaning over me towards the screen holding my hand it suddenly was there. It was so loud, and so strong, and so unexpected that I didn't have time to doubt or pull up the walls around me, I burst into tears and sobbed for 5 minutes while my poor doctor attempted to find the baby again because I was moving so much! Fast forward 23 weeks I am now 29 weeks pregnant and as in just as much disbelief today as I was then. Sometimes I feel ridiculous; none of my clothes fit, I have baby parts in my ribs making me walk like a penguin, a room that actually has things for a child in it for the first time, all of these scans of my sweet girl and I STILL find myself thinking that I can't quite believe any of it. I mentioned this to a girlfriend of mine who struggled through years of infertility as well, a number of failed IUIs as well as one failed IVF before they successfully conceived via her second FET and 9 months later brought their little girl home. She laughed and said to me "Sarah, that's normal, and it may never go away. My daughter is is HERE, we have her HERE, and we still look at her and can't believe she's ours..."
So in the meantime, we're (im)patiently waiting to meet her, more and more excited every day. My Due date is February 24th, however (and here's the news) this week we found out that we will be meeting Aubrey a bit earlier than expected via a scheduled C-section at the end of January. At 20 weeks we found out that I had a condition called placenta previa, This is when the placenta (imagine a pancake inside the cup of a funnel) covers the cervix (the lower opening of the funnel) and causes a serious risk to both mama and baby due to the fact that the placenta itself is blocking the baby's ability to deliver safely without causing placental abruption and hemorrhaging. Truthfully this is a very scary condition - the risk to myself and Aubrey should I go into Labor could be absolutely devestating; the good thing, the amazing thing, is that I've been closely monitored, we know this ahead of time and since the alternative option of a cesarean exists, we have no reason to be worried. Even as someone who values alternative medicine and a homeopathic approach to many things, I've been so overwhelmed this week of my gratitude for not just the time we live in but the access to modern medicine that we have. If there's one thing I've learned the last few years it's that God's plans are so much greater than my own and that there's truly nothing I wouldn't do to ensure that Aubrey arrives safely. No, I'm not thrilled about having to miss out on the experience of labor and have a major surgery 4 weeks earlier than we'd planned on Aubrey having to leave the safety of my womb - But, this pregnancy, despite the pains and the hard parts of carrying a child, has truly already felt like so much more than I could have imagined, and so this loss isn't feeling as hard as many of my friends, family, and doctors have worried it would be for me - for whatever reason, namely because of God's goodness, I am beyond all odds, so excited. So, mark your calendars, Aubrey will be here January 29th, 2018... that's FIFTY DAYS. Our request at this point is that our friends and family could be praying 1) For a smooth remainder of my pregnancy, as the closer we get to that date any bleeding could land me in the hospital and possibly with an even earlier delivery, and 2) That Aubrey will need minimal time in the NICU after she is born.